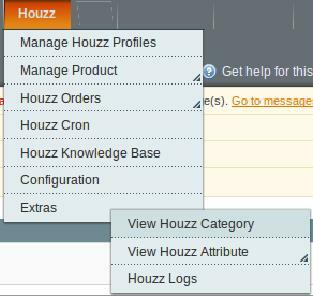 Admin can view and delete the Houzz log details on the Houzz Log Details page. On the top navigation bar, move the cursor over the Houzz menu, and then point to the Extras menu. Note: To clear all the failed import order logs at once, click the Truncate button. Go to the Houzz Log Details page. Select the check-boxes associated with the logs those are no more required. In the Actions list, select Delete Records, and then click the Submit button. The log records are deleted and a success message appears.